We all want to welcome the new year with as much cheer as when we celebrated Christmas. I laud those who do not run out of steam before the new year. 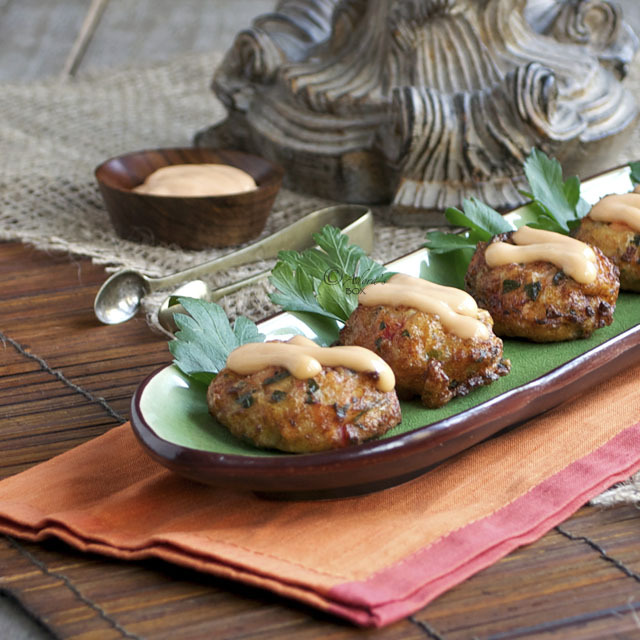 New year parties call for a lot of tidbits and canapes to go with drinks. As we wait for midnight to welcome the new year, nibbling seem to be the activity of choice. 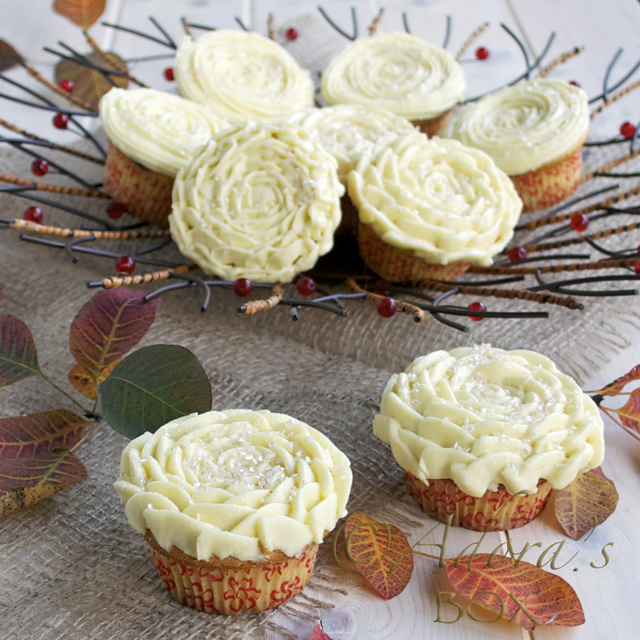 Tasty treats are a must to serve with tipple. 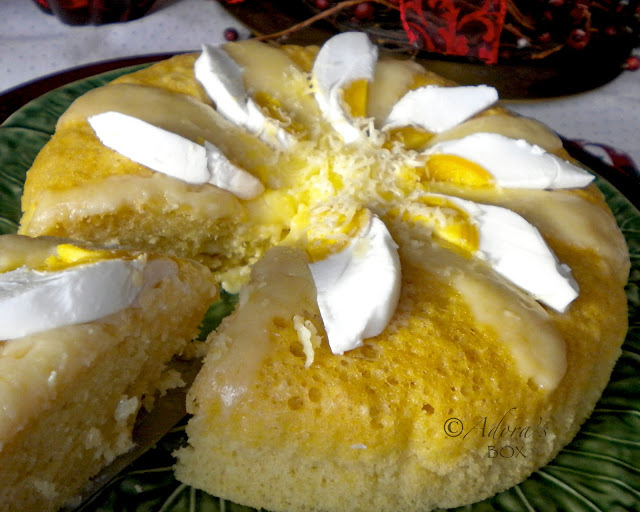 This steamed cake is a native Philippine cake known as puto. 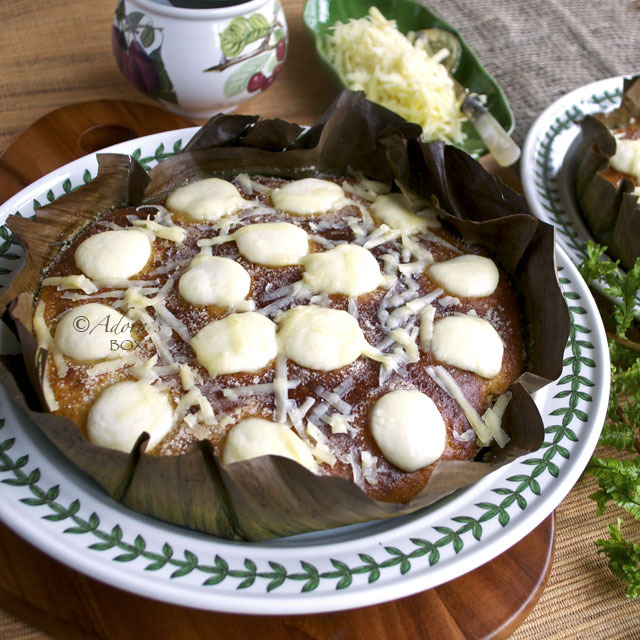 The addition of salted eggs and cheese makes it a special puto. It always makes an appearance at Filipino parties because it is eaten together with noodle dishes instead of bread. 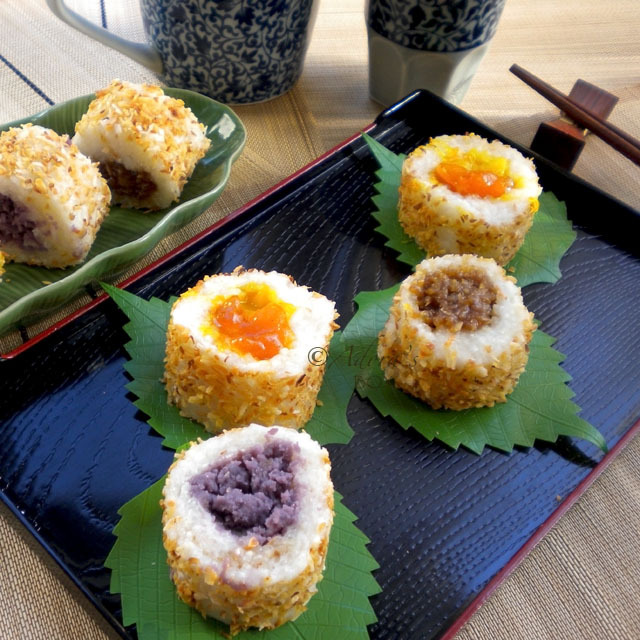 The original recipe calls for uncooked rice grains which is soaked then ground together to make a batter. Although there are a variety of ready ground rice available in the shops, my experimentations with them has failed to produce the puto that I intended to make. 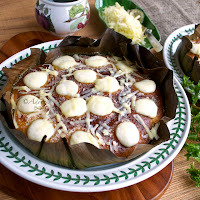 There are a lot of recipes for wheat flour puto and all of them are very different from each other. 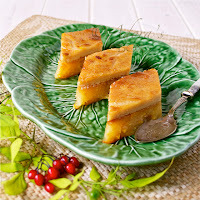 This recipe I used is a steamed cake recipe (a Chinese one) which I revised to make it more like puto. 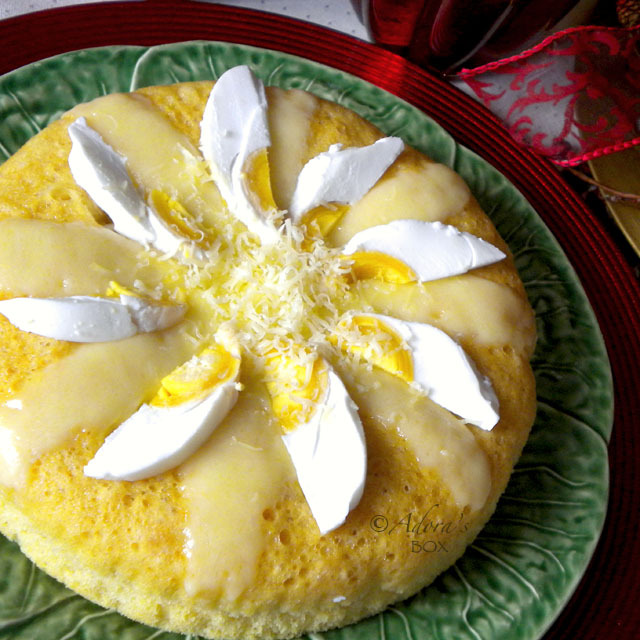 Salted eggs and cheese injects a salty tang into the sweetish dough. I was satisfied with the outcome. I think my husband was too, because he ate most of it. 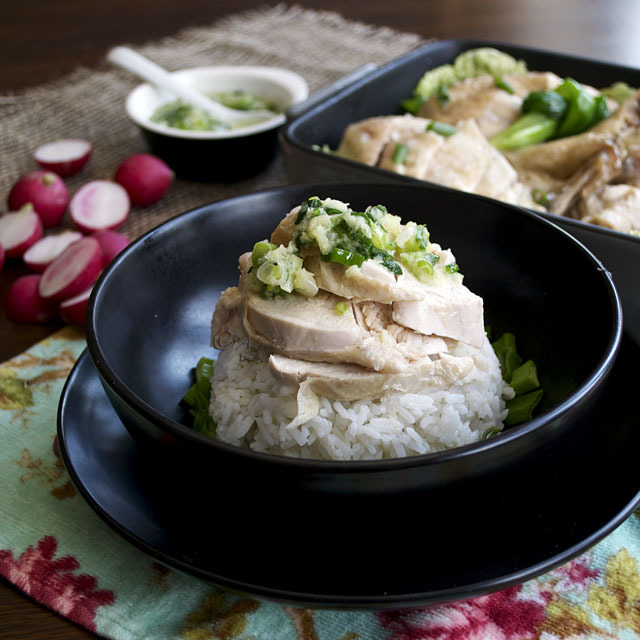 Prepare a steamer or wok with a trivet at the bottom. Pour some water to reach just before the trivet level and bring to a boil. Beat the eggs and sugar with an electric mixer until thick. Blend in the melted butter and milk. Sift the flour together with the baking soda and baking powder and fold into the mixture. 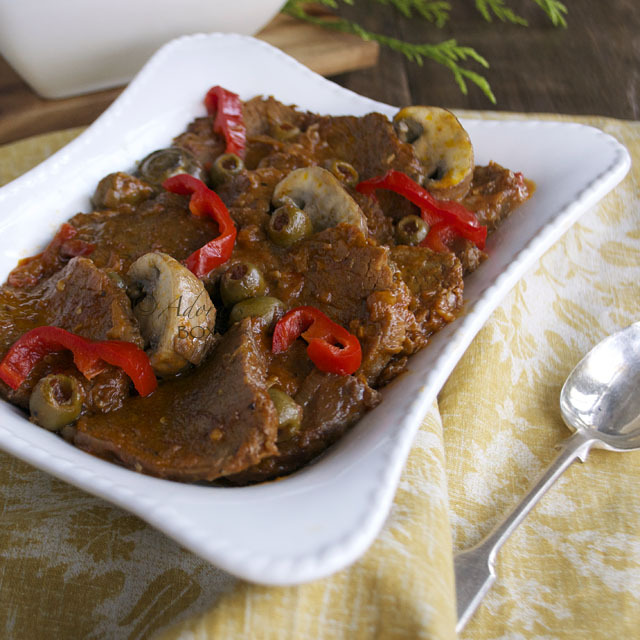 Pour into an 9" diameter pan or heat proof baking dish lined with baking paper. Arrange the salted egg slices on top of the batter. Steam for 20 minutes on high heat in the pre-heated steamer or wok. Make sure the water doesn't reach the bottom of the pan when it boils nor dry out during the steaming process. When done, arrange strips of cheese on top of the puto and return to the steamer just until the cheese melts. The salted eggs will sink a little into the batter when done. I have added extra egg slices just for decoration. 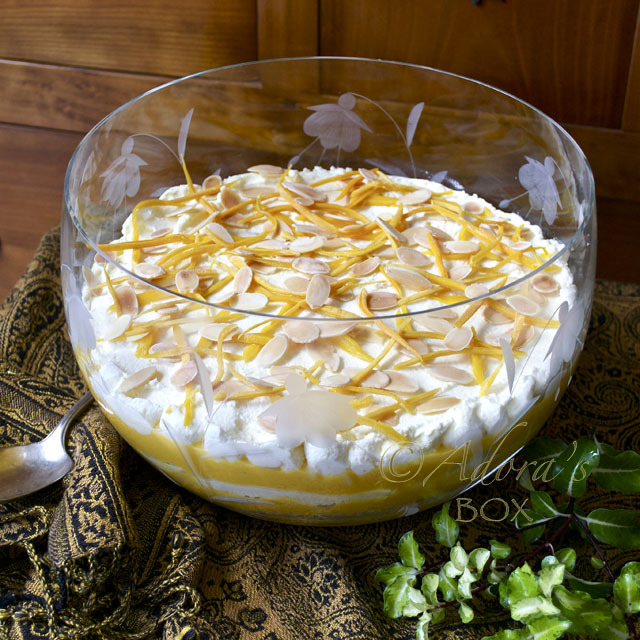 A trifle is comforting, sweet and creamy English dessert that always has to appear on the holiday table even if it is actually eaten all year round. It usually has a sponge cake or sponge fingers, fruits, custard and cream. 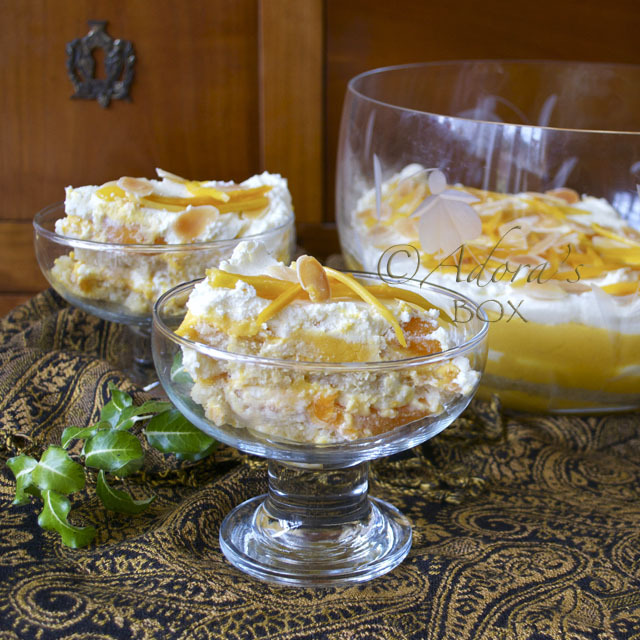 I gave my trifle a tropical twist with mango sauce, peaches and cream. It provides a refreshing respite after eating turkey and trimmings. Whisk the eggs and sugar together until very thick, light and fluffy. Sieve the flour over it and fold in with a metal spoon. Pour into a lined 9" diameter cake pan. Bake for 30 minutes or until a cake tester comes out clean. Invert into a cake cooling rack and allow to cool completely. Split into two horizontally when cooled. You can also use a ready made sponge cake or sponge fingers for this recipe. 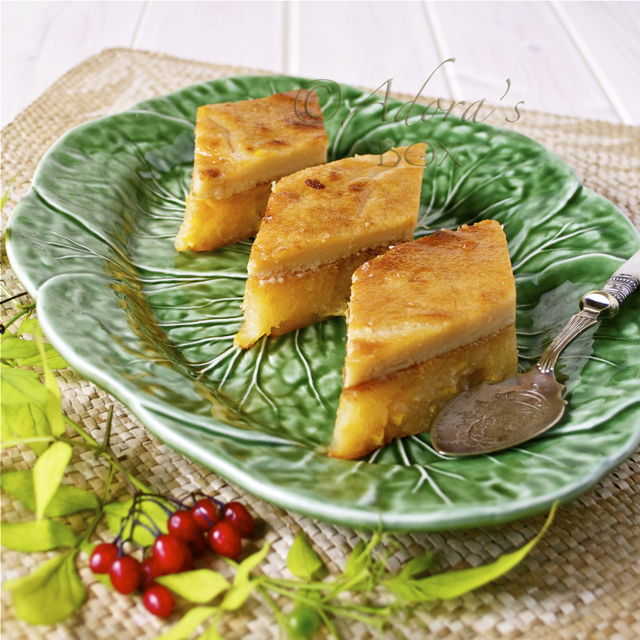 Make the mango sauce by mixing the mango puree and condensed milk in a pan. Bring to a boil on low heat while stirring occasionally. Disperse the corn flour in the 1/4 c. of water and slowly add to the mango mixture in the pan while stirring, until thickened. Take the pan off the heat and mix in the butter. Leave to cool. Set the peach slices aside for later. In a small saucepan, melt the 2 tbsps. of sugar in the reserved peach syrup. Take off the heat and add the rum flavouring. Leave to cool. 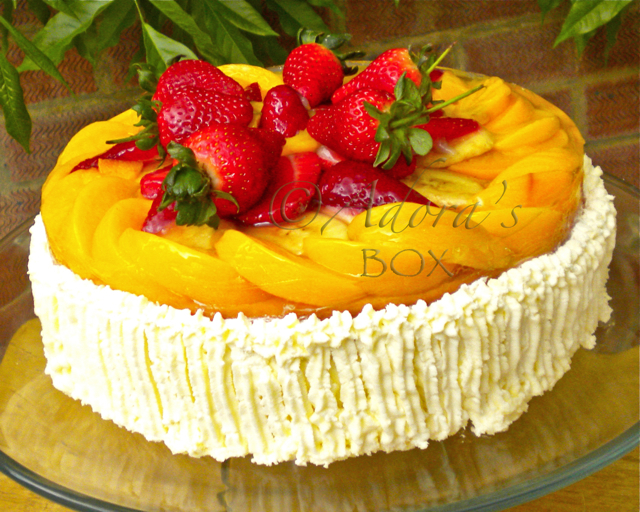 Put a third portion of the mango sauce in a bowl that would fit the sponge cake. Arrange 1/3 of the peach slices on top of the sauce. Top with one half of the sponge. 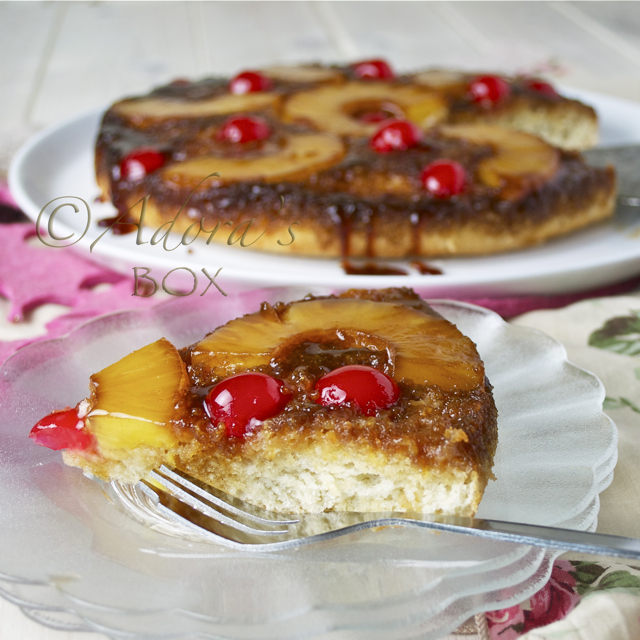 Drizzle half of the rum syrup evenly on the sponge. 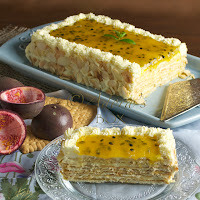 Put another third portion of mango sauce on top, then arrange another third of peach slices. Spoon in half of the cream. Top with the last half of the sponge cake and drizzle with the remainder of the rum syrup. Spoon in the last third of the mango sauce, top with the remainder of the peaches and finish with the remaining cream. 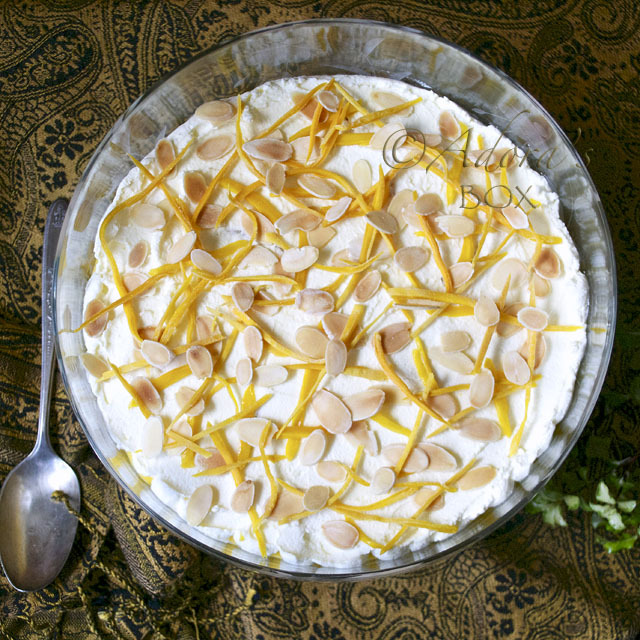 Top with the almond flakes and dried mango slivers. Chill until ready to serve. 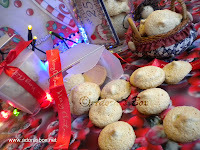 Coined from the word polvo (meaning powder), polvoron is another favourite Philippine sweet that is of Spanish origin. It is a type of unbaked shortbread. 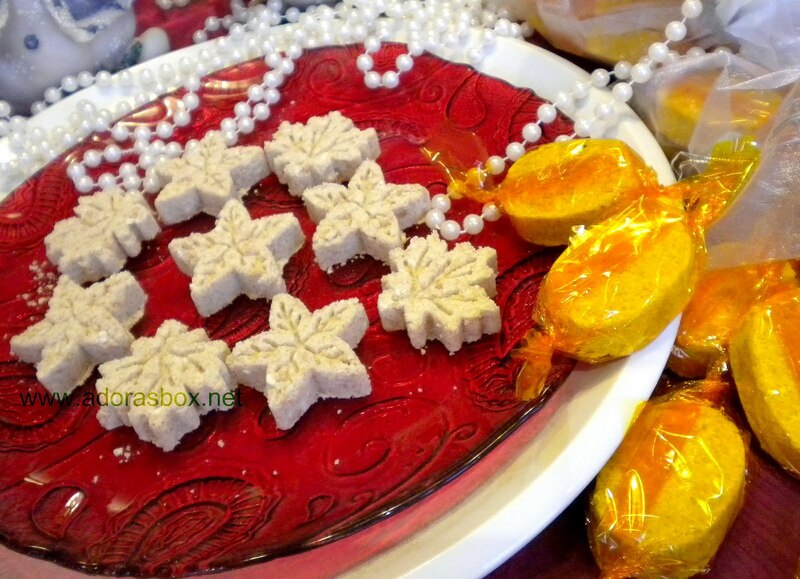 Unlike the Spanish original, Philippine polvoron is made with butter instead of lard. 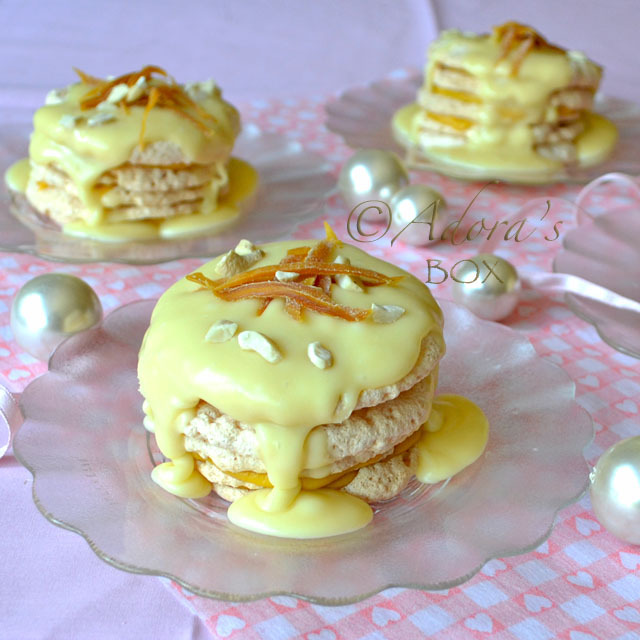 I added crushed turron de almendra (a Spanish nougat confection with toasted almonds, traditionally eaten at Christmas) to add a seasonal flavour twist. The only cooking involved is toasting the flour. All the ingredients are then just mixed before forming them in the usual oval shapes using a special polvoron press. 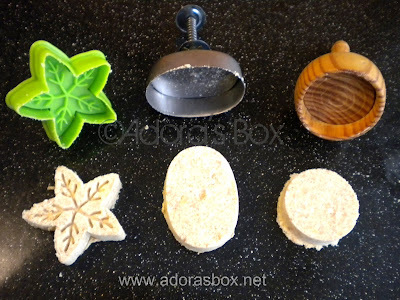 Any mould with a plunger can be used such as a butter pat mould or pastry cutter. The simpler shapes will be easier to wrap. mould may be used to form the polvoron. In a pan, toast the flour on low heat until light brown in color (about 10 minutes). Take the pan off the heat and add the rest of the ingredients, except for the butter. 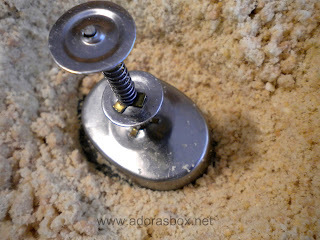 Mix very well with a spoon, pressing on the mixture to distribute the turron crumbs well. Add the melted butter and stir until thoroughly mixed. Press the mould firmly into the mixture. Using a polvoron mould, press firmly into the mixture, packing it well and moving from side to side to make the surface even. Carefully unmould into a tray. 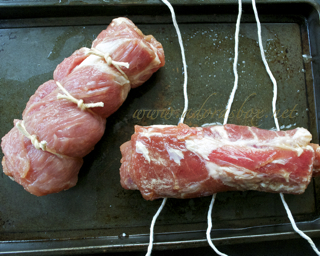 Refrigerate until firm before wrapping in cellophane. 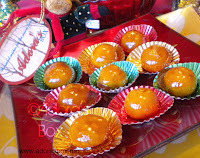 To make plain polvorons, just omit the turron de almendra. The turron may also be replaced with peanut brittle to vary the flavour. Do not add the full amount of sugar at once. Some peanut brittles are very sweet. I miss Philippine Christmases. It is one of the longest Christmas seasons in the world. Celebrations usually start way before December, even preceding Halloween. 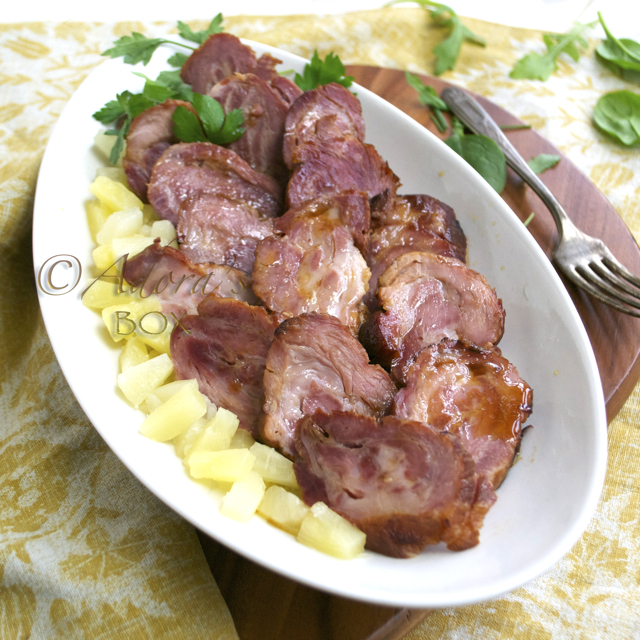 For as long as I can remember, my family always cooked our ham in pineapple juice, with lots of brown sugar and aromatic spices. I was assigned with the task at a very young age (several decades ago) and always happily obliged and quite mastered the skill. It always brought home the fact that Christmas IS indeed here. I love the smell it brings to the house, maybe even to the neighborhood. 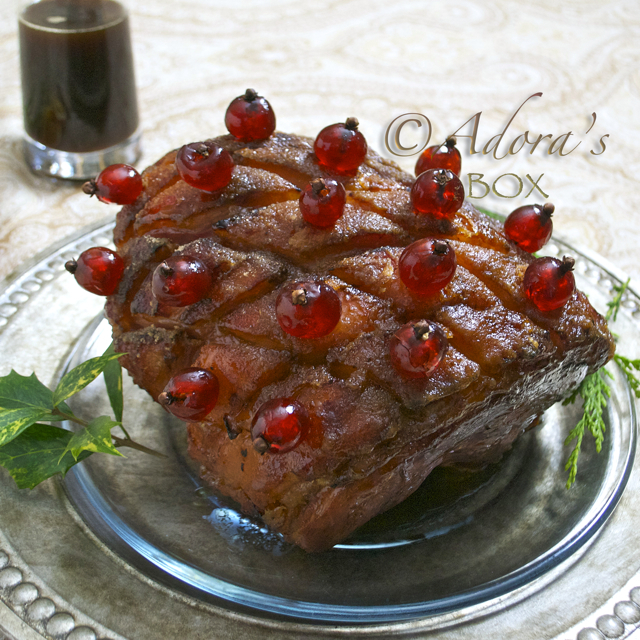 A few years back, I saw Nigella Lawson cook her ham in cola, tried it and was hooked. I still add pineapple juice and my usual spices, but the cola, aside from tenderizing the ham gives the flavour a new twist. 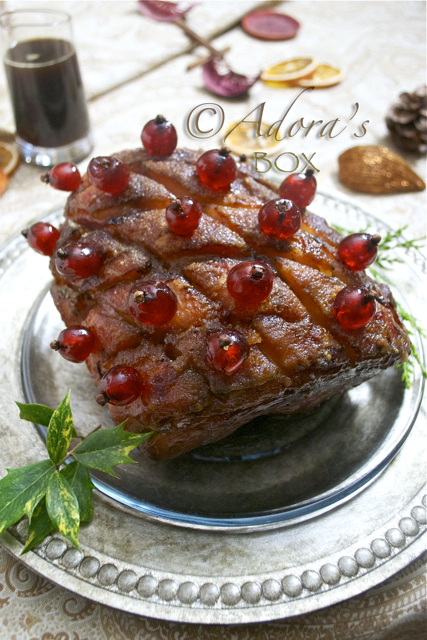 This flavour blend and method of cooking gives an ordinary joint of ham an intense Christmas flavour. Wash the ham. Put it in a large pot and add all the ingredients except for the cola and light brown sugar. Top up the liquid with cola to nearly cover the joint of ham. You may not need the whole two litres of cola. Bring to a boil and simmer on low heat until tender, topping up the liquid with more cola if needed. This 5.3 kg. joint took 3 1/2 hours to cook. 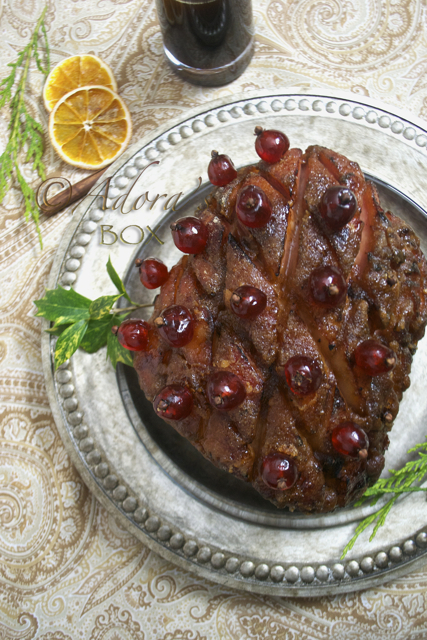 Test the ham by poking with a long fork or skewer. 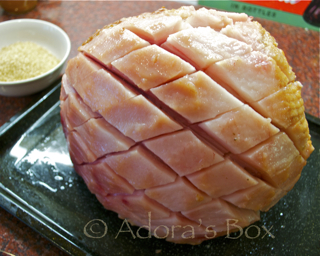 If it reaches the middle of the ham easily, then your ham is tender. The tip of the fork should be hot to the touch. 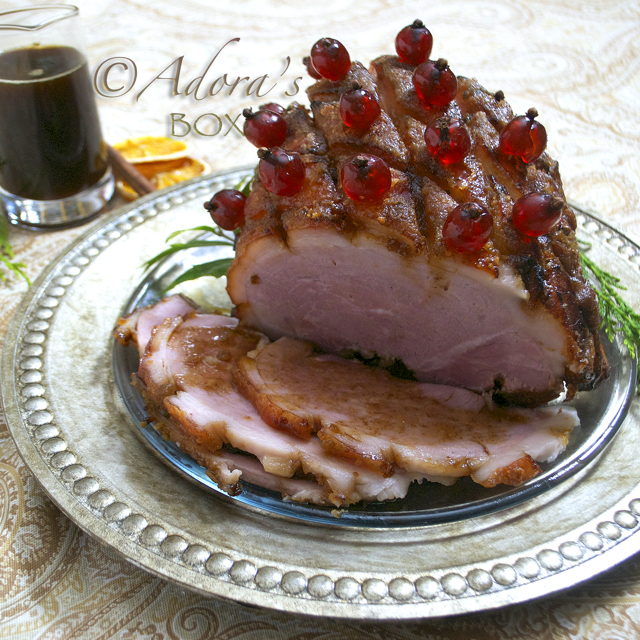 Do not over cook the ham because, aside from being dry, it will shred when you slice it. 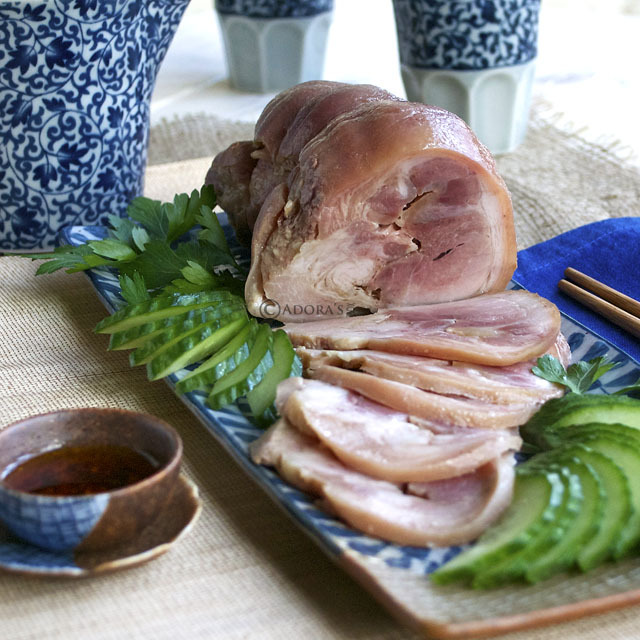 Take the ham joint out of the pot. Peel the skin off when cool enough to handle. Score the fat with intersecting diagonal lines to make diamond shapes. Bake in a pre-heated 400° F/ 200° C oven to brown the fat, about 10-15 minutes. Take out and sprinkle liberally with light brown or demerara sugar. Return to the oven. The sugar will caramelize to form a glaze. 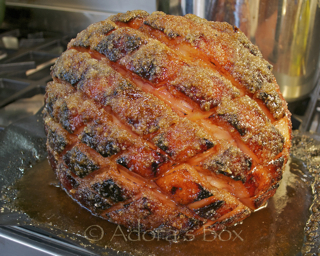 Repeat this process twice or thrice to ensure that the whole ham has a thick, crisp sugar glaze. Stud the middle of each diamond with whole cloves on glacé cherry halves as decoration if desired. Bring the ham sauce back to a rolling boil and reduce, on high heat, uncovered. 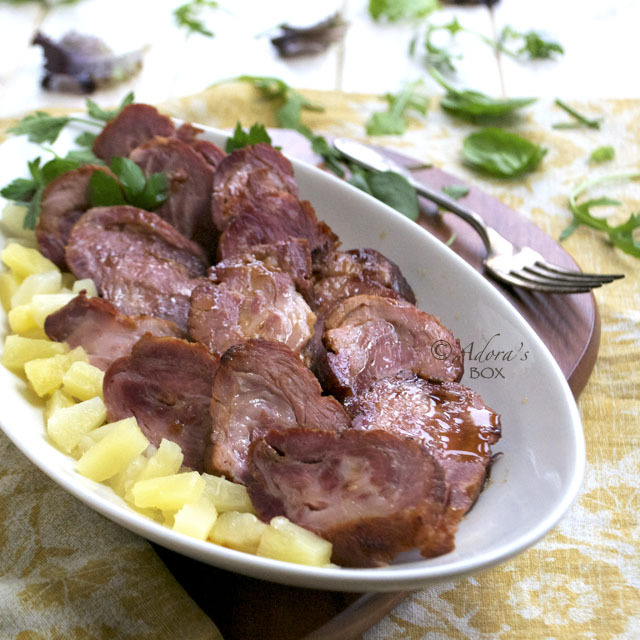 It's ready when it has become syrupy, and the taste has the right balance of sweetness and saltiness. 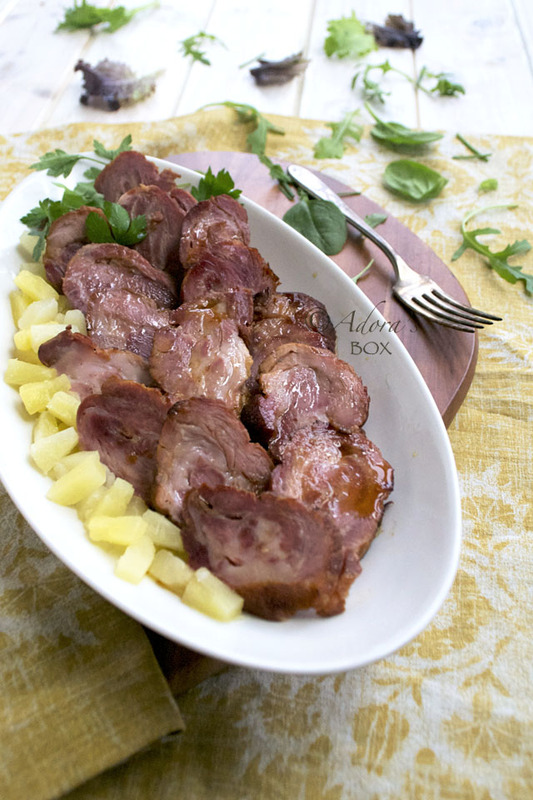 Strain and serve this delicious sauce with your ham. 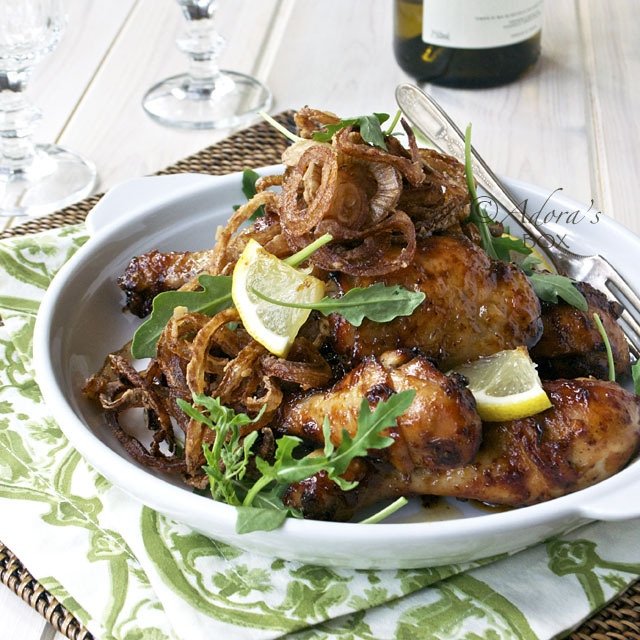 Special occasions or otherwise, chicken dishes are always welcome. 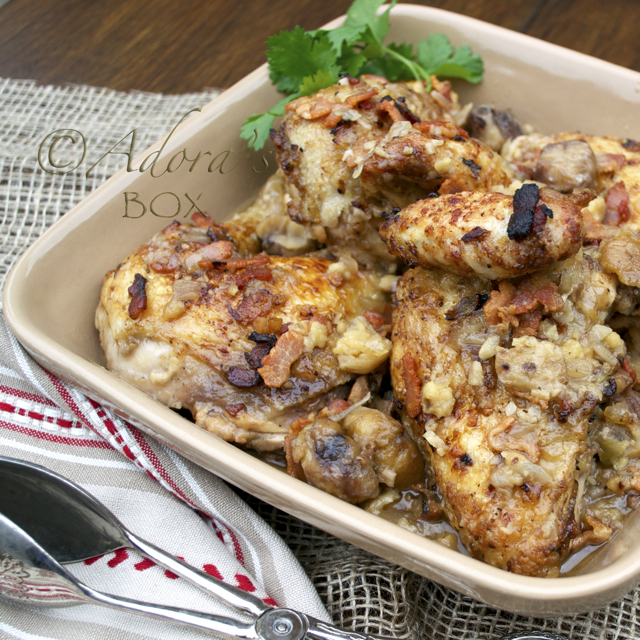 Since it's Christmas, I've added chestnuts and bacon to this really easy baked chicken dish. 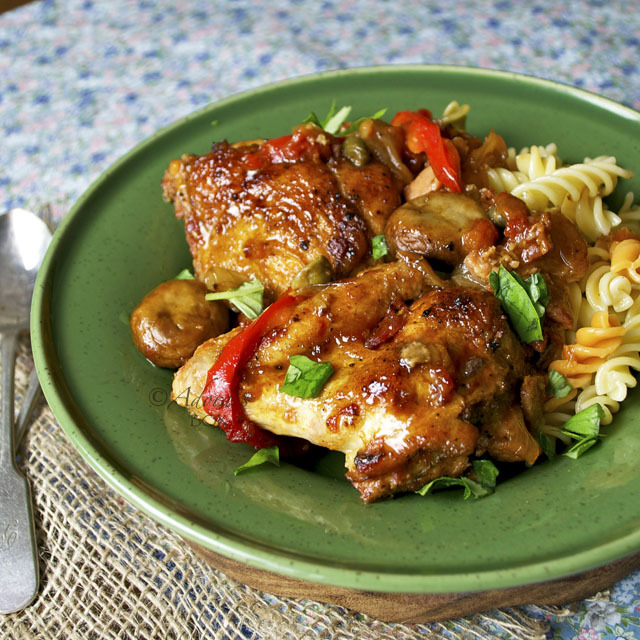 Cider forms the sauce that gives the chicken flavour a lift. I garnished the dish with fried apple wedges. 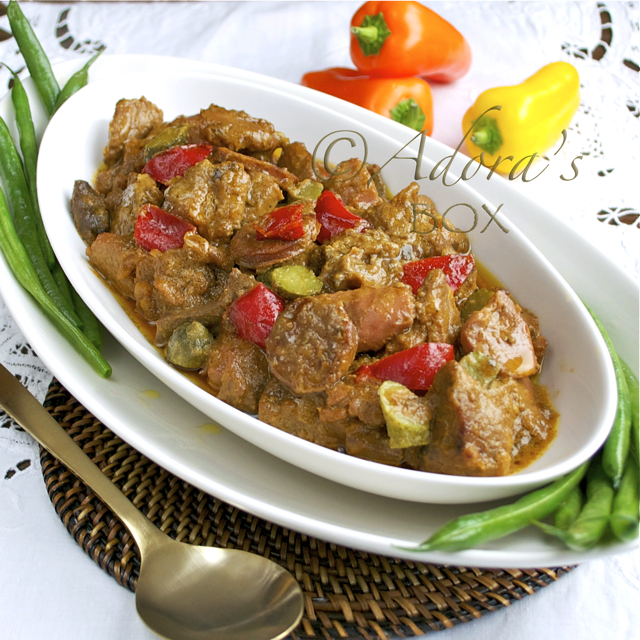 There's only a few ingredients and the process is very simple yet the taste would far exceed your expectations. 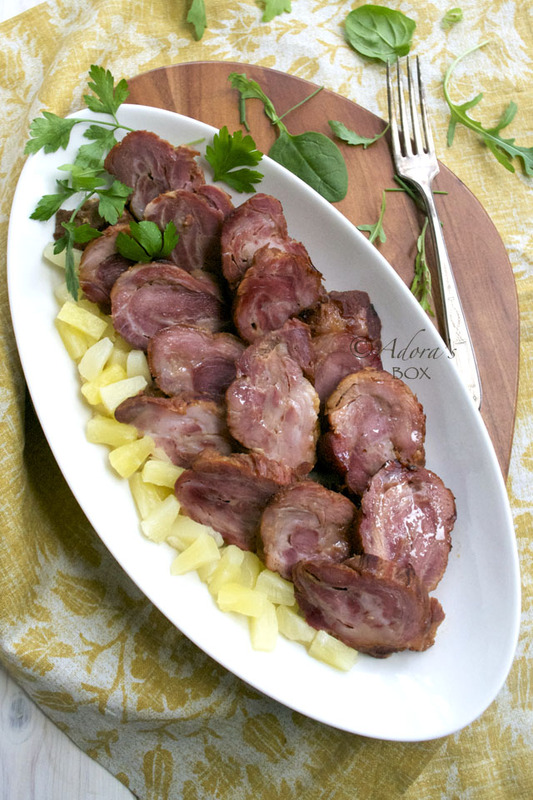 It is a recipe well worth trying. This could easily become a new family favourite. Cut the chicken into quarters. Dredge lightly in the flour seasoned with the celery salt. 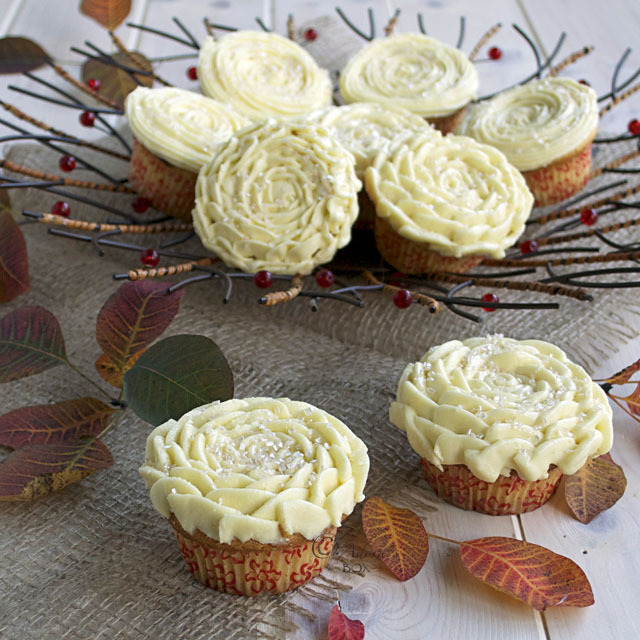 Save the leftover flour for later. Pan fry in 2 tbsps. of butter (or substitute) mixed with 2 tbsps. of oil until browned. Transfer to an oven proof dish and set aside. In a clen pan, saute the garlic in the rest of the butter for 2 minutes. Add the chopped onion and saute until soft and translucent. Add the chopped bacon and saute until cooked. Add one tablespoon of the leftover seasoned flour to the pan and stir. Slowly add the cider while stirring. Add the rest of the ingredients and bring to a boil. Pour over the pan fried chicken . 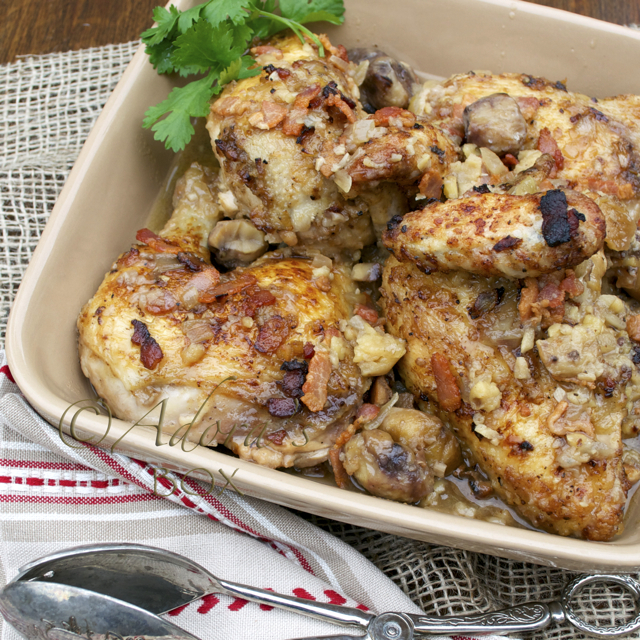 Cover the dish with foil and bake in the oven for 50 minutes or until the chicken is cooked and tender. 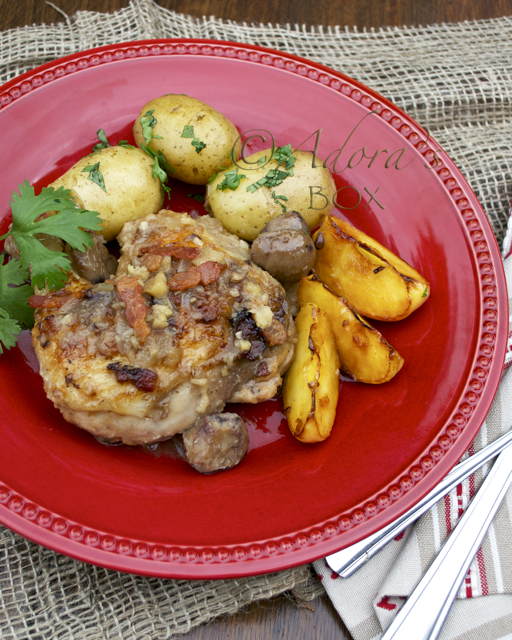 I served this with boiled potatoes but roast or mashed potatoes would be equally good. Good things can be bad for you but wicked things are great. Such is the irony of life. This recipe is one of the signature dishes of my home town, Marikina, in the Philippines Its origin is unknown and no one can tell why this dish is called "Everlasting". Perhaps it was named after the everlasting flower because the dish is embellished and provides a decorative focal point to the buffet table. 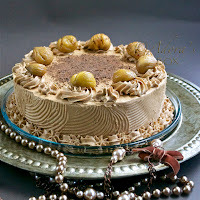 It is always present at every festive table during fiestas and holidays. Cooking this has brought back so many happy childhood memories. For those who, like me, are not fond of Christmas pudding, this could be good news. 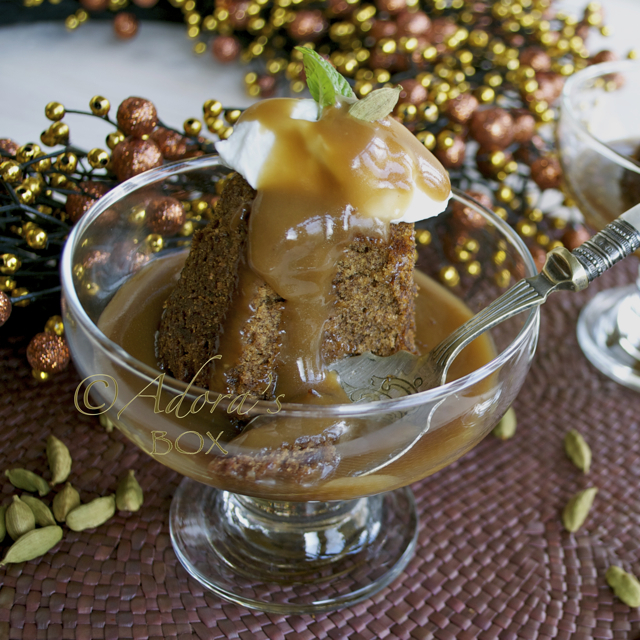 This is similar to sticky toffee pudding but is infused with cardamom and coffee. 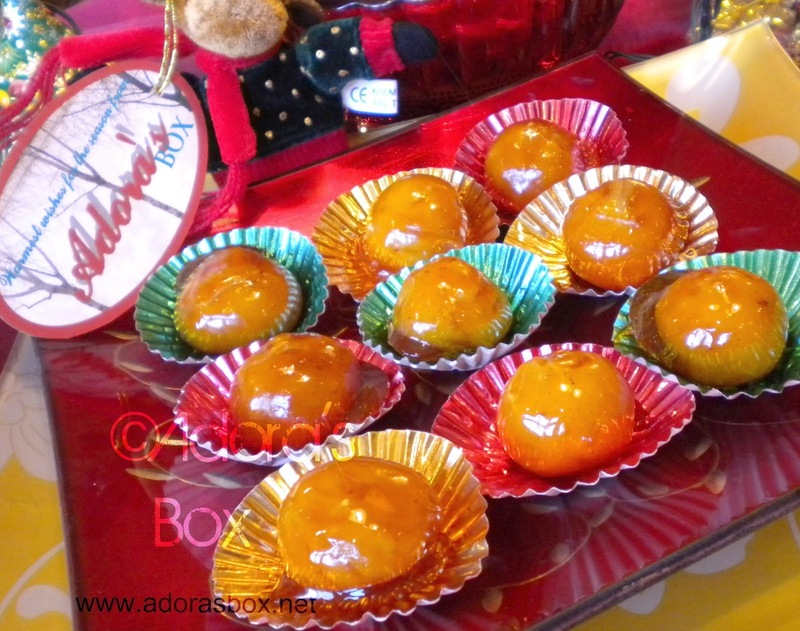 It looks a bit like mini Christmas puddings but is nothing like it. 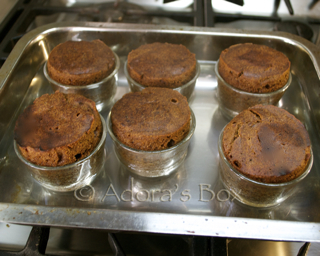 I used little cups for steam baking but you can also use regular ramekins. These cups are actually tea light holders from Ikea which make perfect sized portions for individual servings. 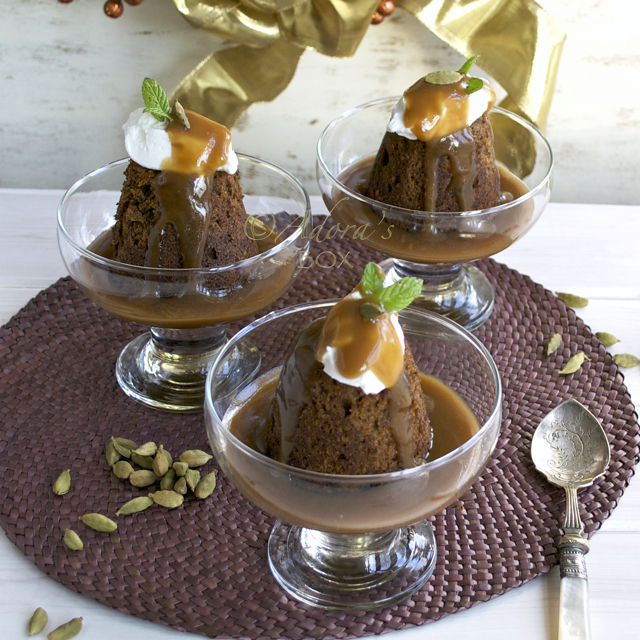 Served with the sauce, it makes such a decadent pudding that everybody will love. 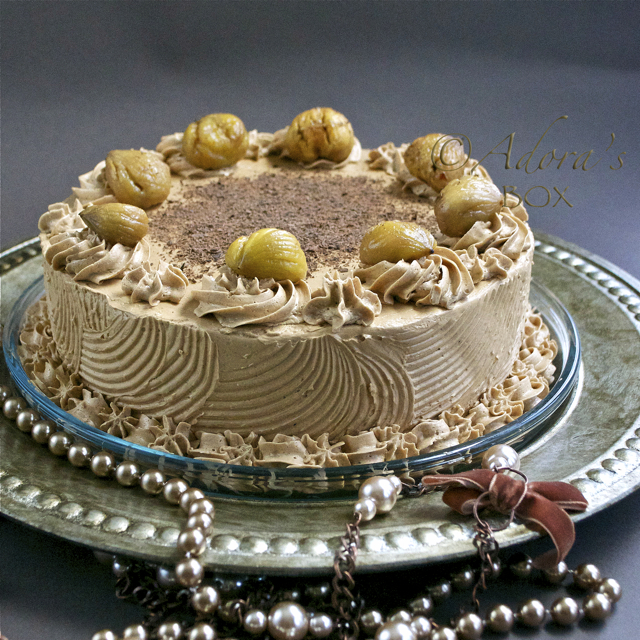 The hint of coffee and cardamom adds an exciting and Christmassy twist. 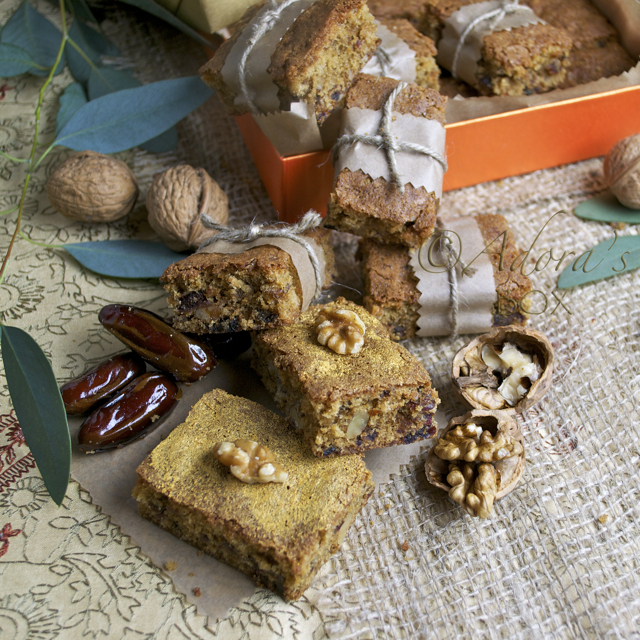 Unlike the 2 hours of steaming that Christmas pudding requires, this bakes for just 45 minutes. 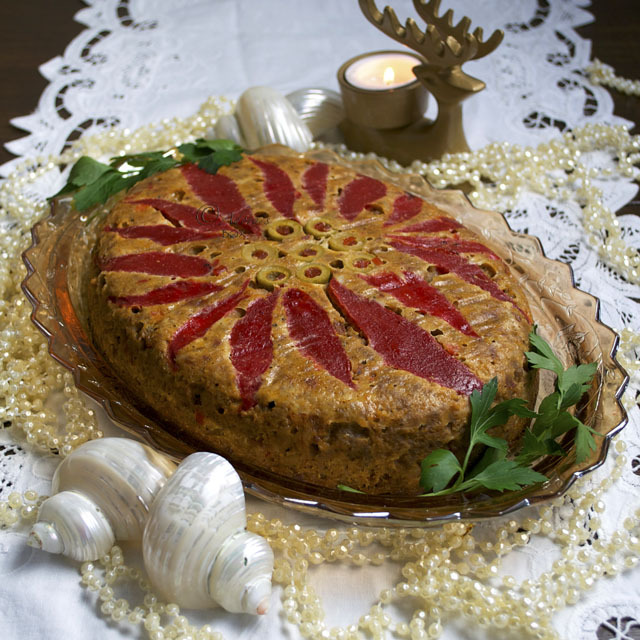 It can be made ahead which leaves you more time to enjoy Christmas day. 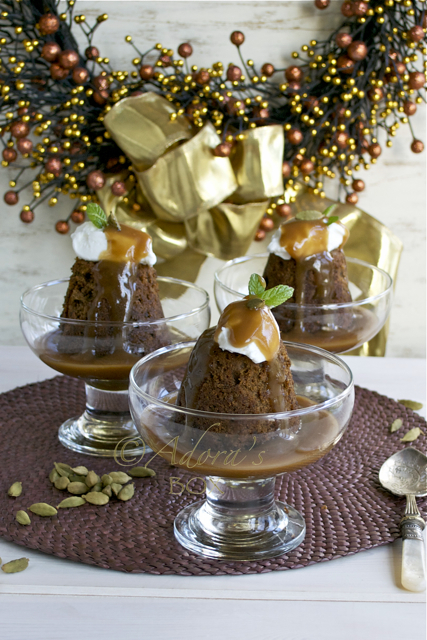 You can make sticky toffee puddings for the kids using the same recipe but using water instead of coffee and omitting the cardamom. Both ways are really delicious. Preheat the oven to 375° F/ 190° C. Grease four ramekins or 6 small cups. Put the chopped dates and the coffee in a small sauce pan. Bring to a boil and simmer for five minutes. Take off the heat and add the baking soda. Stir while mashing the dates as much as you can. Set aside. Put them in a roasting tray. Pour boiling water into the tray to reach 2/3 of the way up the sides of the ramekins or cups. 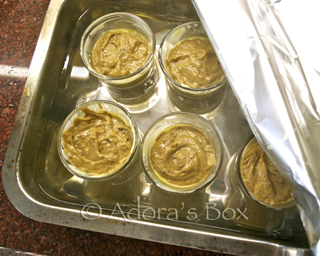 Cover loosely with foil and bake for 45 minutes. 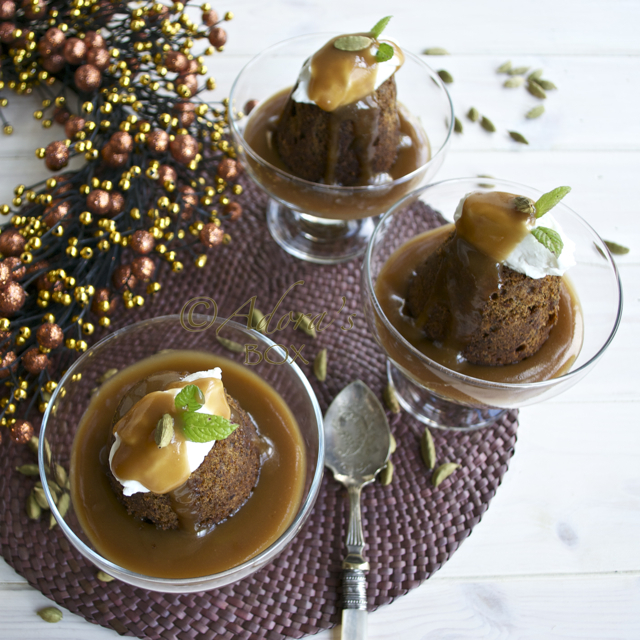 Unmold while still warm and serve with caramel sauce and créme fraiche. Combine butter and sugar in a sauce pan. Bring to a boil and stir until sugar melts. Simmer on low heat for three minutes. Disperse the corn flour in the water and add to the pan while stirring. When the mixture is smooth, leave to simmer for 2 minutes. Take off the heat, then add the cream. 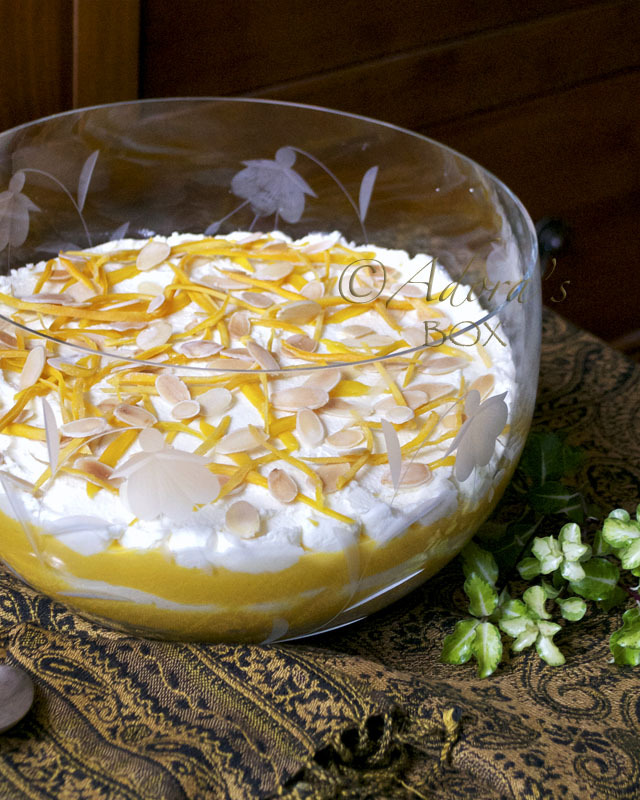 Serve with the puddings.